If you’re one of those that’s only been to Paris once for a romantic weekend away, then you’re sure to have seen the many illegal street vendors who try and get you to buy miniature Eiffel Towers, the smallest ones are mostly sold for 1€. The closer you get to the iconic landmark, the more vendors you encounter. People eager to take some of that Parisian magic back home with them buy one and don’t think about it twice. Related coverage: <a href="https://thegoldwater.com/news/37309-France-Macron-Tells-Unemployed-I-Can-Find-You-A-Job-Just-By-Crossing-The-Street-Video"> France - Macron Tells Unemployed “I Can Find You A Job Just By Crossing The Street” (Video)</a>. If you’re living in central Europe and go to Paris multiple times, you can understand when the romance of that first visit starts to ebb away how annoying it is for Parisians themselves to find African gangs selling fake goods on every street corner. In cooperation with French immigration officials who’ve arrested the mostly African illegal vendors, several raids on Chinese wholesalers suspected of importing and supplying the goods were launched overnight. 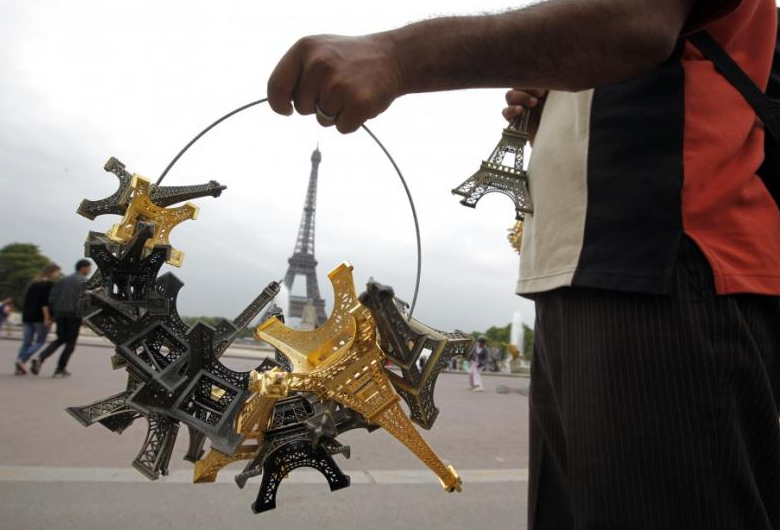 In the end, French police were able to seize 20 tonnes of miniature Eiffel Towers. More than 1,000 boxes containing the pointy souvenirs could be found at two depots and three shops in the Paris region. The immigration authorities also arrested many undocumented migrants who act as street vendors. Police spokesman Mr. Guillaume Fauconnier said: “the 20 tonnes seized represent between 500,000 and 800,000 Euros worth of merchandise for these gangs. During the searches, we even uncovered machines to count the money bills and coins, showing clearly the extent of this operation.